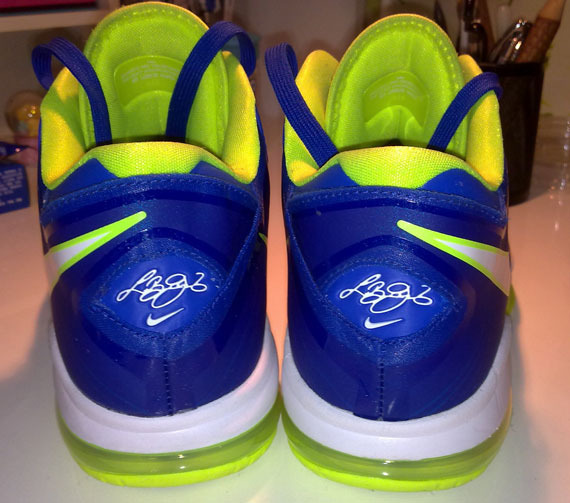 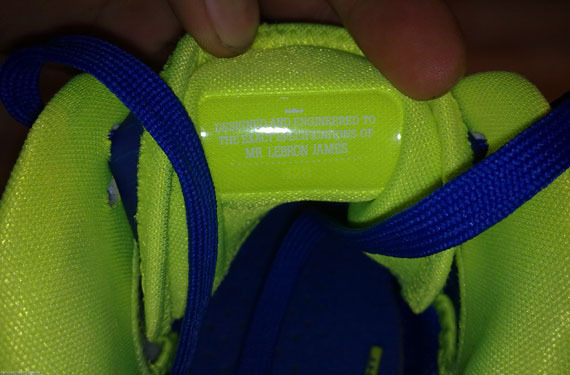 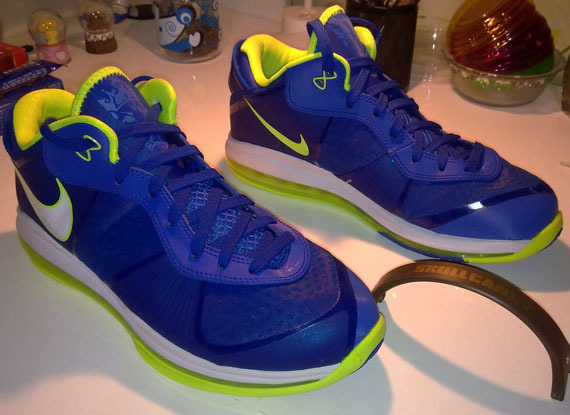 We're hit with yet another look at the upcoming 'Sprite' LeBron 8 V/2 Low. 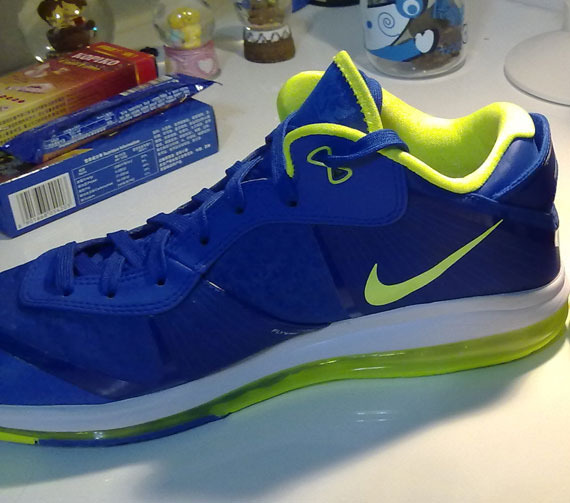 Not only does today mark the start of the 2011 NBA Playoffs, it's also the official launch date of the Nike LeBron 8 PS. 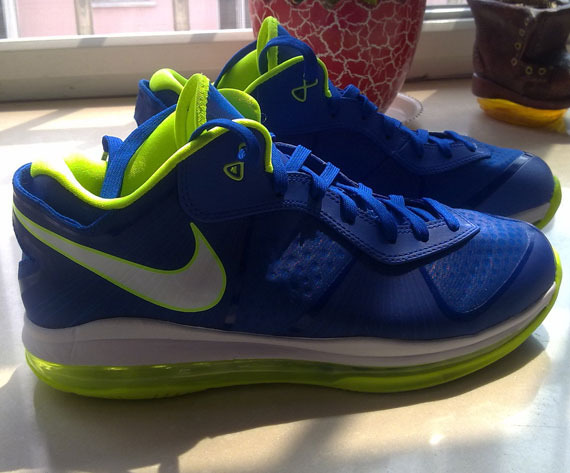 However, what's on most of LeBron fan's mind now is the upcoming release of the Sprite-inspired colorway of the LeBron 8 V/2 Low. 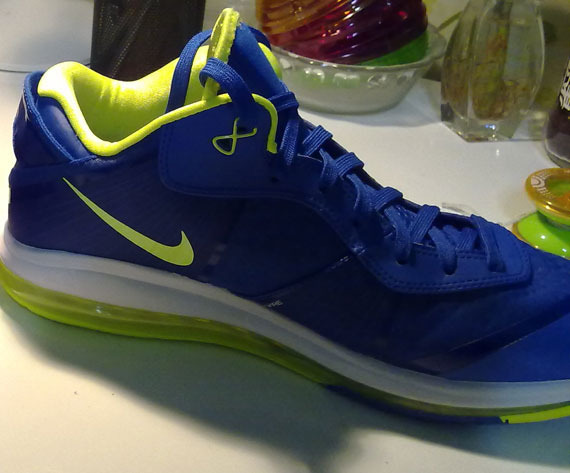 Easily the loudest colorway of the three to surface so far, they make use of treasure blue throughout the entire lightweight upper. 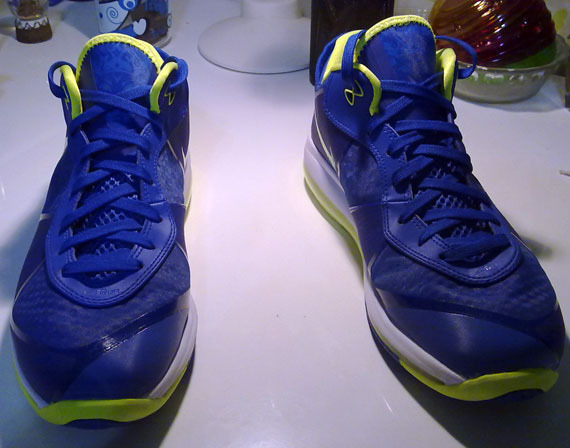 Volt adds to an already-powerful punch, accenting on the full-length 360 Air bag, sockliner and other areas throughout. 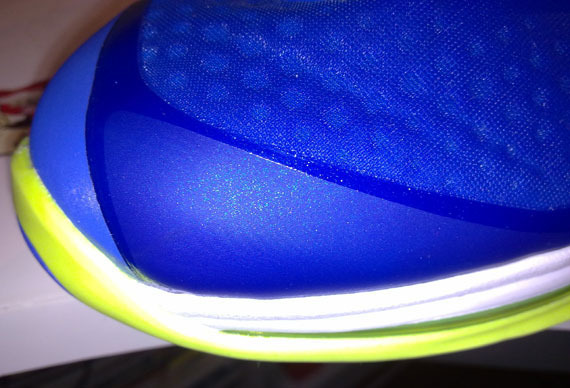 Enjoy an all around detailed look below, and keep it locked to Sole Collector for the latest on an official release.